LED turn signal OEM replacement made with 48 5mm LEDs per unit. 1156 single contact base allows all 48 red LEDs to function as the turn signal on the rear. Available in bullet style (pop off lens) or flat style (2 screw lens). BCM Compliant. Lifetime Warranty against LED failure. Sold as Pair. Replaces rear OEM turn signal on Harley-Davidson® International (HDI) models with 1156 single contact turn signal bases. View Additional Fitments. Use in conjunction with Smart Triple Play® Unit to convert to run/brake/turn. 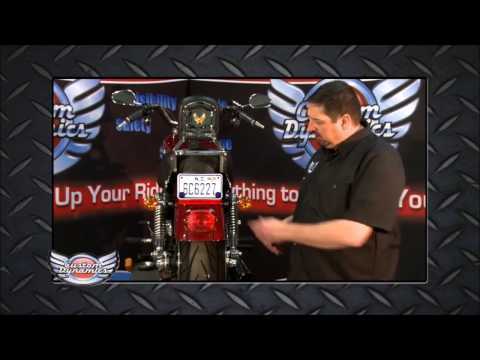 Rear turn signals on International Harley-Davidson® (HDI) models with 1156 single contact bases. Smart Triple Play® Unit converts rear turn signals with 1156 bases to function as run, brake, and turn with choice of 10 user selectable strobe/flash patterns and selectable running light intensities to match the running light brightness of turn signals to center taillight.